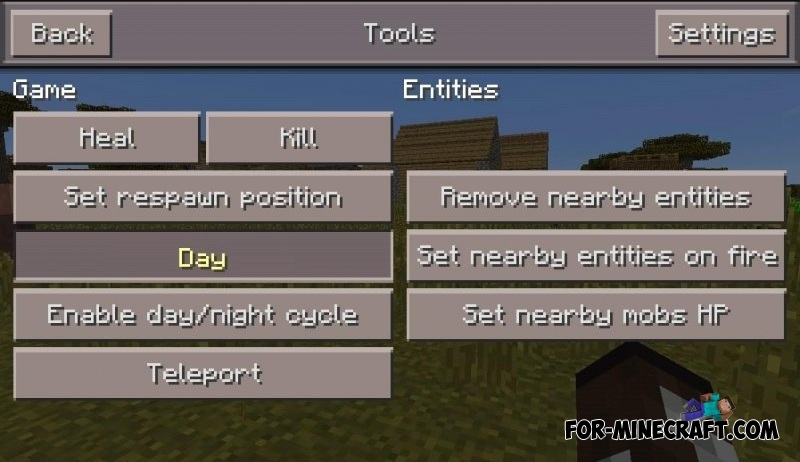 With this mod you can get any block, change the day and night, change the game mode, sit on the mobs, and more! 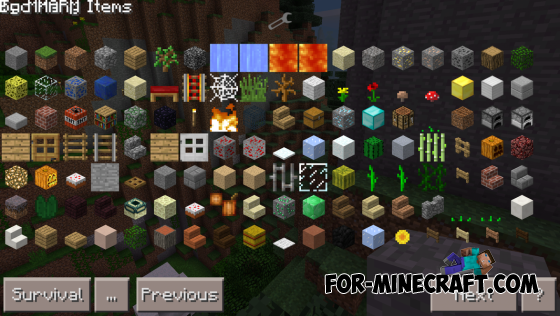 Creator of TMI said that very soon he will release an update for 0.12 version of MCPE. 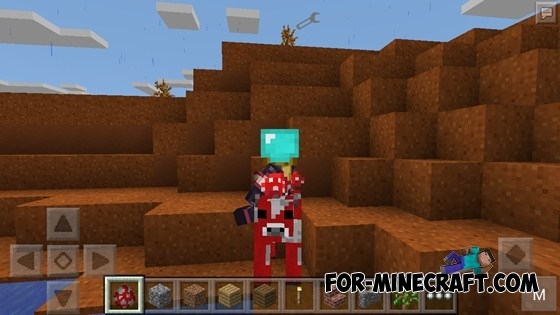 Above all, the creator will update Sky Wars and Spleef, then will start to develop addon. 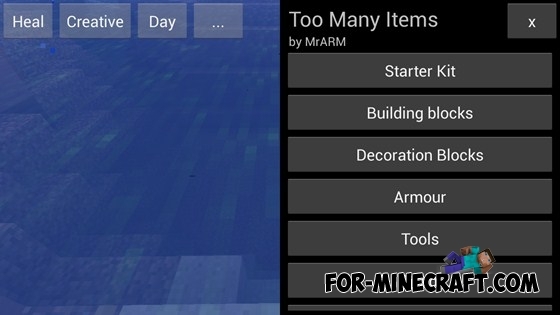 In addition, now MrArm will try beforehand to update TMI for 0.12, but because of too huge list of new things, to the author needed a week, maybe two. 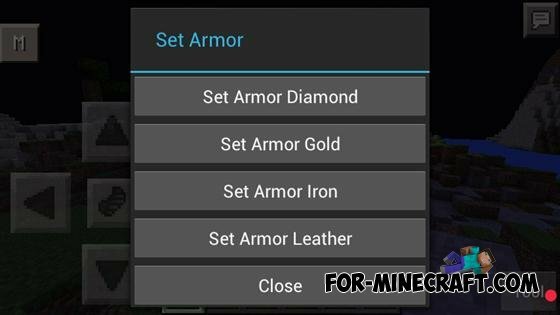 Excellent addon, by which you'll be able to add any items to instantly change the game mode, time of day, activate the effects of potions and more! 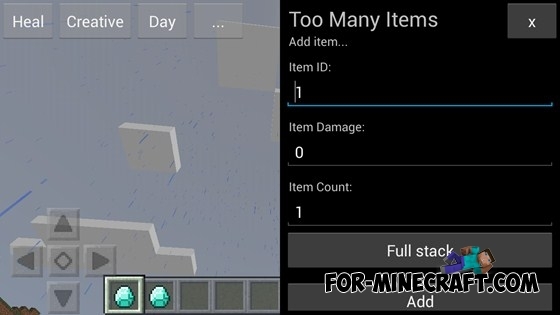 Finally, a new version of the legendary TooManyItems v2 mod. Now it is installed as a script. 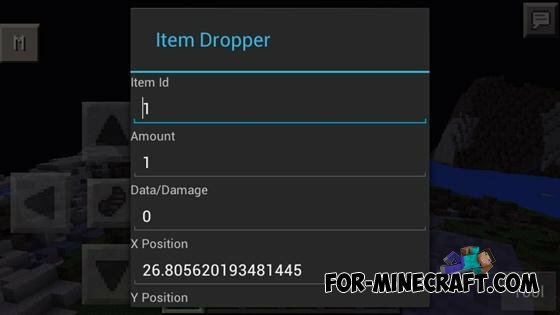 X-Ray, we have not waited, but the developers have added a couple of new features in this version, so download (this version is more stable). Oh yes, he was finally released after a long time! 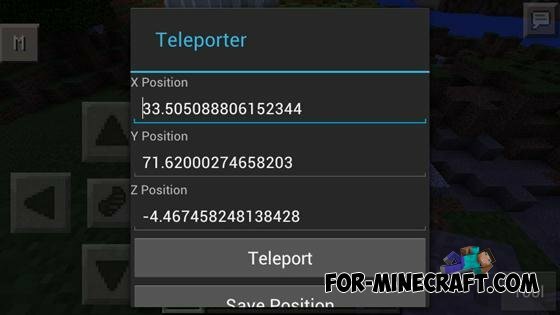 Now fully supports 0.10.4!